Clean Jeep! Only $1000 Total Down Payment! Free 6 month - 6,000 Mile Warranty! 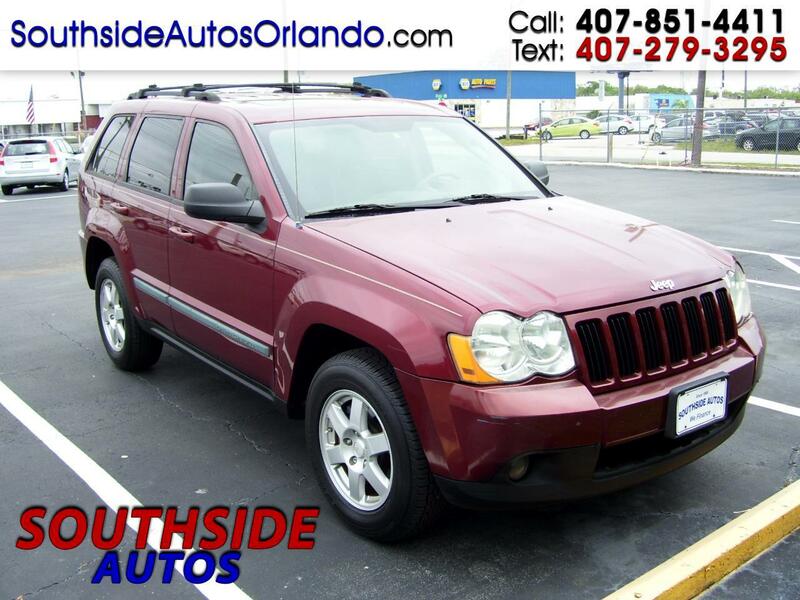 Visit Southside Autos online at SouthsideAutosOrlando.com to see more pictures of this vehicle or call us at 407-851-4411 today to schedule your test drive. You promise to pay us the principal amount of $7,995.00, plus a time price differential accruing on the unpaid balance at the rate of 18.00 % per year from today's date until maturity. The time price differential accrues on a 365 day basis. After maturity, or after you default and we demand payment, we will earn finance charges on the unpaid balance at 18.00 % per year. You agree to pay this Contract according to the payment schedule and late charge provisions shown in the TRUTH IN LENDING DISCLOSURES. You also agree to pay any additional amounts according to the terms and conditions of this Contract. Interest rates will vary depending on creditworthiness and age of vehicle. ***Prices Exclude Tax, Tag, Registration/Title Fees, Documentary Stamps, $189 Dealer Fee And Finance Charges*** No Haggle Pricing. Financing Subject To Approval. BHPH Lending Area is 50 Miles From Dealership. Some Used Motor Vehicles May have Prior Damages. View FREE CarFax History Reports on our Web Site for Reported Damages, Service History and/or Prior Uses. Some Used Motor Vehicles May Have Open Recalls. Visit www.SaferCar.gov to Check For Open Recalls. CarFax Reports also Show Open Recalls.